Arthur Laffer is best known for the Laffer curve. Described as an illustration of the theory that there exists some tax rate between 0% and 100% that will result in maximum tax revenue. Marty Piatt Architect in: If I Was President... My Blueprint for America, AuthorHouse, 1 May 2012, p. 73. In China and Japan, there's no distinction between painting and illustration, but here there's a huge gulf between 'fine' art and applied or commercial art. I think that started in the Renaissance with the invention of oil painting and, subsequently, the Romantic notion of genius. I suppose illustration tends to live in the streets, rather than in the hermetically sealed atmosphere of the museum, and consequently it has come to be taken less seriously. Botticelli would have made a very good fashion photographer. He did eight heads instead of seven heads in a body, which is fashion illustration. - David Bailey. David Bailey in: Q & A: David Bailey interview (part 2), CNN.com, 3 November 2006. William Banting in: Letter on Corpulence: Addressed to the Public … Reprinted from the 3d London Ed. With a Review of the Work from Blackwood's Magazine, and an Article on Corpulency & Leanness from Harper's Weekly, A. Roman, 1865, p. 9. 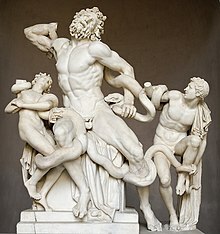 Laocoon: A famous piece of antique scripture representing a priest of that name and his two sons in the folds of two enormous serpents... - Ambrose Bierce. Science has taught us, against all intuition, that apparently solid things like crystals and rocks are really almost entirely composed of empty space. And the familiar illustration is the nucleus of an atom is a fly in the middle of a sports stadium, and the next atom is in the next sports stadium. - Richard Dawkins. Affected with a high degree of intellectual independence; not conforming to standards of thought, speech and action derived by the conformants from study of themselves; at odds with the majority; in short, unusual. It is noteworthy that persons are pronounced mad by officials destitute of evidence that themselves are sane. For illustration, this present (and illustrious) lexicographer is no firmer in the faith of his own sanity than is any inmate of any madhouse in the land; yet for aught he knows to the contrary, instead of the lofty occupation that seems to him to be engaging his powers he may really be beating his hands against the window bars of an asylum and declaring himself Noah Webster, to the innocent delight of many thoughtless spectators. Ambrose Bierce’s definition of Mad in: An Eye for An I: Living Philosophy, ReadHowYouWant.com, 4 March 2008, p. 104. Gravitation: The tendency of all bodies to approach one another with a strength proportion to the quantity of matter they contain --the quantity of matter they contain being ascertained by the strength of their tendency to approach one another. This is a lovely and edifying illustration of how science, having made A the proof of B, makes B the proof of A.
Ambrose Bierce , Humanizing Psychiatry: The Biocognitive Model, Future Psychiatry Press, 2009, p. 57. Laocoon: A famous piece of antique scripture representing a priest of that name and his two sons in the folds of two enormous serpents. The skill and diligence with which the old man and lads support the serpents and keep them up to their work have been justly regarded as one of the noblest artistic illustrations of the mastery of human intelligence over brute inertia. Ambrose Bierce et al.in: Odd Dictionaries and Alphabets, AfterMath, 13 June 2014, p. 86. I don't think there's an illustrator who's as good as a Titian or a Rembrandt... but then, Rembrandt was a bit of an illustrator on the quiet, you know? Quentin Blake, Quentin Blake: interview, Time Out editors, 18 December 2006. As an illustrator you need to understand the human body - but having looked at and understood nature, you must develop an ability to look away and capture the balance between what you've seen and what you imagine. Quentin Blake, Dances with frogs, The Guardian, 19 April 2003. It was a great day for illustration when, in 1999, Quentin Blake became the first children's laureate. Illustrator of about 300 books and former head of illustration at the Royal College of Art, he was able to focus attention on an art form that seldom gets the celebration it deserves. Joanna Carey in "Dances with frogs". 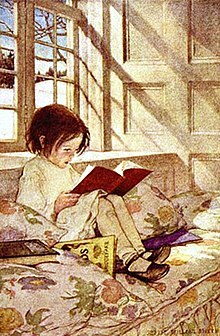 Let every bookworm, when in any w:Fragrant,fragrant, scarce, old tome he discovers a sentence, a story, an illustration, that does his heart good, hasten to give it. Hartley Coleridge in: The Worthies of Yorkshire and Lancashire: Being Lives of the Most Distinguished Persons that Have Been Born In, Or Connected With, Those Provinces, Whittaker, 1836, p. 322. There is no better illustration of that crisis than the fact that the president is openly violating our nation's laws by authorizing the NSA to engage in warrantless w:Surveillancesurveillance of U.S. citizens. John Conyers in: In opening statement, Democrat takes on warrantless wiretaps, The Raw Story, 20 January 2006. A wisely chosen illustration is almost essential to fasten the truth upon the ordinary mind, and no teacher can afford to neglect this part of his preparation. Howard Crosby in: Lloyd Albert Johnson A Toolbox for Humanity: More Than 9000 Years of Thought, Trafford Publishing, 2003, p. 34. Richard Dawkins, The God Delusion, Random House, 22 September 2009, p. 412. What Tim does is, he calls me and sends me the script. And then he sends me a drawing, an illustration of his image of me as the character. It's so great. Danny DeVito, in Alana Lee Fish Interview with Danny DeVito, BBC Films, January 2004. John Emmerling in: Sujitha Sundaram Doodling is fun, seriously, Sakal Times, 18 June 2014. Just about every children's book in my local bookstore has an animal for its hero. But then, only a few feet away in the cookbook section, just about every cookbook includes recipes for cooking animals. Is there a more illuminating illustration of our paradoxical relationship with the nonhuman world? People unacquainted with graphic novels, including journalists, tend to think of 'Watchmen' as a book by Alan Moore that happens to have some illustrations. And that does a disservice to the entire form. Dave Gibbons in: Scott Thill Archaeologizing Watchmen: An Interview With Dave Gibbons, WIRED.com, 23 December 2008. Jean-Luc Godard in: Geoffrey Macnab 'Cinema is over', The Guardian, 29 April 2005. Illustration has always been an important visual communication medium for humans. The origin of illustration can be found in the w:Paleolithic period Paleolithic period (30,000 B.C. to 10,000 B.C.). The cave paintings from this period display mostly large wild animals and tracings of human hands. Drawings of humans are rare and are usually schematic rather than the more naturalistic drawings of animals. Ivan Viola and Meister E. Gröller in: Smart Visibility in Visualization: Computational Aesthetics in Graphics, Visualization and Imaging, Institute of Computer Graphics and Algorithms, Vienna University of Technology, 2005. The aim of illustration is to generate expressive images that effectively convey certain information via the visual channel to the human observer. Additionally, illustrators and visual artists in general create images that follow principles of visual harmony such as color combinations, scene composition, contrast, dynamics or other aesthetical aspects. Ivan Viola and Meister E. Gröller in: "Smart Visibility in Visualization: Computational Aesthetics in Graphics, Visualization and Imaging". Illustration techniques such as cut-aways or exploded views are realized in scientific visualization through Smart Visibility Techniques...Expressive visualizations inspired by illustration techniques are useful for various visualization tasks. When you start writing a picture book, you have to write a manuscript that has enough language to prompt the illustrator to get his or her gears running, but then you end up having to cut it out because you don't want any of the language to be redundant to the pictures that are being drawn. Daniel Handler in: Deadpan Humor And Childhood Fears Collide In 'The Dark', NPR, June 19, 2013. Dee Hock in: Melissa Hoffman, Transformation by Design, 30 May 2013. Here is the amazing thing about Easter; the Resurrection Sunday for Christians is this, that Christ in the dying moments on the cross gives us the greatest illustration of forgiveness possible. - T. D. Jakes. T. D. Jakes in: Lessons On Forgiveness From T.D. Jakes, NPR Organization, 5 April 2012. Henry James in: The Portable Henry James, Penguin, 30 December 2003, p. 388. I always wrote little things when I was younger. My first opus was a book of poems put down in a spiral notebook at five or six, handsomely accompanied by crayon illustrations. Nicole Krauss, A Conversation with Nicole Krauss, randomhouse.com. Illustration from the late-1900s up through the middle of the 20th century was absolutely amazing. In general, American culture was at its highest skill wise in every aspect of human life in the 1940s. It’s all been downhill since then. You just open an old magazine from the 1930s and ’40s and look at the illustrations in it. There’s nobody alive that could touch the way they could draw back then. John Kricfalusi in: Amid Amidi The John Kricfalusi Interview, Part 2, Cartoon Brew, 31 August 2004. The main thing missing from cartoons is today that old cartoons were cartoony. They did things you can't do in any other medium. Today's cartoons are very conservative and are more like live action. The characters look the same in every frame of the damn cartoon. The old cartoons squashed, stretched, and did crazy expressions. They were imaginative and crazy. A lot of cartoons aren't imaginative, they just say things. It might as well be radio. There is no point in having anything to look at in modern cartoons. But you can't say that about every cartoon. Genndy Tartakovsky's cartoons are beautiful. The closest thing now to what I'm saying is SpongeBob but even that doesn't go very far. It's like a conservative version of Ren & Stimpy. Grand Canyon poster (1938) - The wonders of the Grand Canyon cannot be adequately represented in symbols of speech, nor by speech itself. The resources of the graphic art are taxed beyond their powers in attempting to portray its features. Language and illustration combined must fail. - John Wesley Powell. - Norman Rockwell. You have to make thousands and thousands of drawings before an illustration is perfected. Richard MacDonald in: Art 4392- Illustration, University of Texas Arlington. ...no such thing as photojournalism anymore. That's over, except in newspapers. I respect newspapers but the reality is that magazine "photojournalism" is finished. They want illustrations, Photoshopped pictures of movie stars. Mary Ellen Mark in: D.K. Row Interview: Mary Ellen Mark on photography, The Oregonian, 12 August 2010. Marsha Norman in: Kriss Akabusi, Tricia Hartley Success Comes in Cans: Learning Lessons for Life, Bloomsbury Publishing, 17 October 2006, p. 64. John Boyle O'Reilly in: The Crisis Jan 1945, The Crisis Publishing Company, Inc., January 1945. Bill Plympton in: Tasha Robinson Bill Plympton, A.V. Club, Apr 19, 2000. Peter Porter in: John Kinsella interviews Peter Porter (1993), johnkinsella.org. The wonders of the Grand Canyon cannot be adequately represented in symbols of speech, nor by speech itself. The resources of the graphic art are taxed beyond their powers in attempting to portray its features. Language and illustration combined must fail. John Wesley Powell in:Canyons of the Colorado, Cosimo, Inc., 1 December 2008, p. 394. Norman Rockwell in: Dave Kemper, et al.Fusion Book 1, Enhanced Edition: Integrated Reading and Writing, Book 1, Cengage Learning, 1 January 2014, p. 202. Be able to draw an illustration as least well enough to get your point across to another person. - Marilyn vos Savant. My favourite books series as a young child was the Frank L. Baum 'Wizard of Oz' series. They were beautifully written, oversized fat books with wonderful type and illustrations. - Anita Shreve. My favourite books series as a young child was the Frank L. Baum 'Wizard of Oz' series. They were beautifully written, over sized fat books with wonderful type and illustrations. Anita Shreve in: Sarah Kinson Anita Shreve interview, theguardian.com, 28 October 2008. But, after all, the aim of art is to create space - space that is not compromised by decoration or illustration, space within which the subjects of painting can live. Frank Stella in: Alan D. Bryce Art Smart: The Intelligent Guide to Investing in the Canadian Art Market, Dundurn, 1 January 2007, p. 55. Tro in: e-Study Guide for: Introductory Chemistry: by Tro, ISBN 9780136003823 , Cram101 Textbook Reviews, 01-Jan-2012, p. 133. Nothing you'll read as breaking news will ever hold a candle to the sheer beauty of settled science. Textbook science has carefully phrased explanations for new students, math derived step by step, plenty of experiments as illustration, and test problems. Eliezer Yudkowsky in: A Technical Explanation of Technical Explanation, yudkowsky.net. On one level the sixties revolt was an impressive illustration of Lenin's remark that the capitalist will sell you the rope to hang him with. Ellen Willis in: Out of the Vinyl Deeps: Ellen Willis on Rock Music, U of Minnesota Press, 2011, p. 221. Usually in theater, the visual repeats the verbal. The visual dwindles into decoration. But I think with my eyes. For me, the visual is not an afterthought, not an illustration of the text. If it says the same thing as the words, why look? The visual must be so compelling that a deaf man would sit though the performance fascinated. Robert Wilson in: Arthur C. Holmberg The Merlin of the Avant-Garde : Expatriate Robert Wilson, America's Weirdest Theater Director, Is Trying to Come Home--Again, The LA Times, 8 August 1993. A. N. Wilson, The Diary: AN Wilson, Financial Times, 29 June 2012. This page was last edited on 24 August 2016, at 12:21.